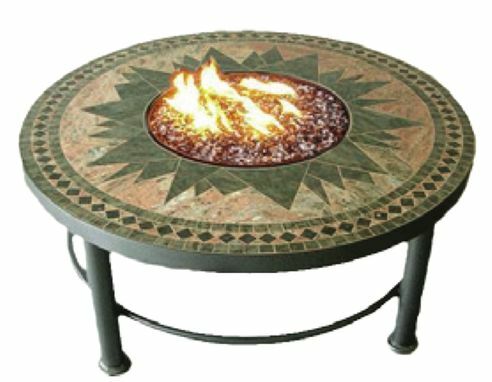 Our fire pits are designed with the same intricate detail as our fire tables and are available in chat or cocktail height. 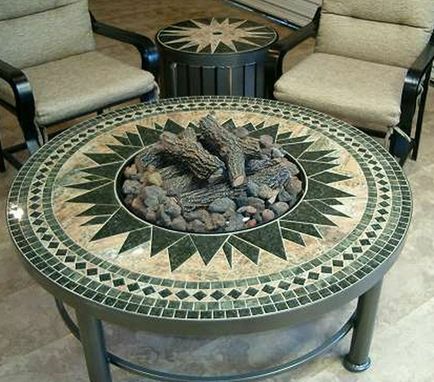 Select your granite mosaic tabletop design, then customize your fire pit by selecting either fire logs or fire glass to complete the look. 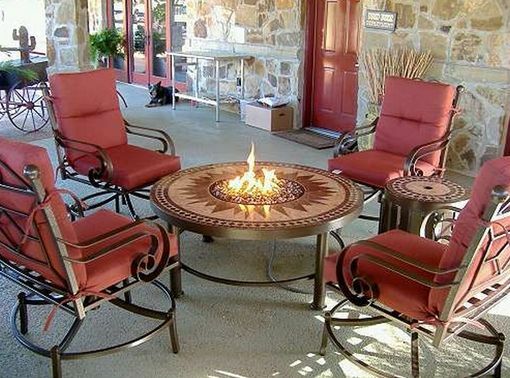 Our fire logs, constructed from refractory reinforced concrete, are hand-painted for a natural look. 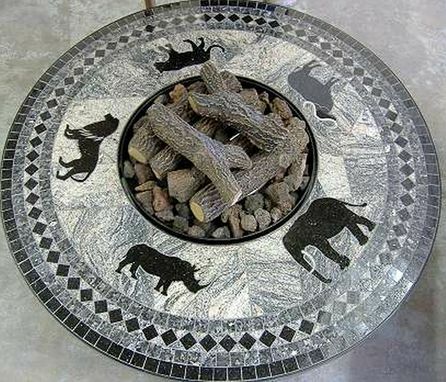 Decorative fire glass, available in an assortment of lustrous colors, gives your fire pit a beautiful contemporary look. 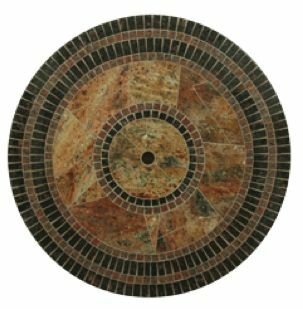 The durable burner pan and burner are made from 304 grade stainless steel. With 90,000 BTUs, your fire pit will produce the perfect warm glow. 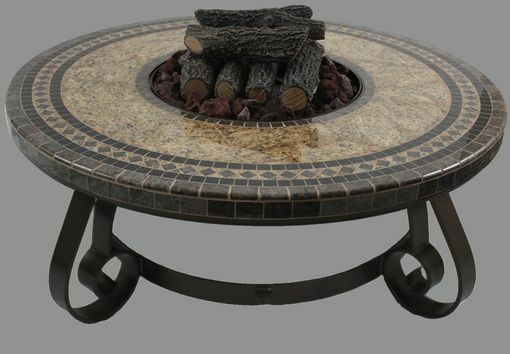 Our basket side table (for propane only) comes included and has a matching granite mosaic top. 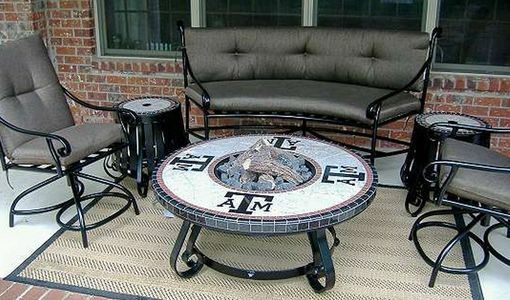 Discreetly store your propane tank inside, and use it as a convenient side table between chairs. 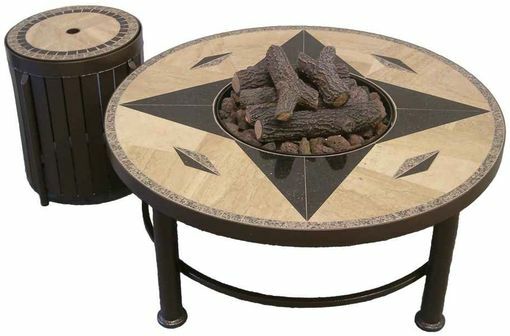 At chat height, the tank is stored under the fire pit in an enclosed compartment with a door access.